Give breakfast more than just a passing thought. It's the only way to refuel your energy stores after a night spent sleeping, and skipping breakfast can take a toll on your overall energy level, and your health. Take heart that eating a bigger breakfast won't automatically cause you to gain weight, and in fact, the opposite might be true. That same big breakfast sets the stage for making healthy food choices for the rest of the day, too. The trick is choosing the right foods to include in your big breakfast. A big breakfast can help satisfy your hunger and keep you feeling full for the whole morning. If you do this every day, you'll probably end up consuming fewer calories, which can translate to weight loss. This occurs because your stomach stays full so you're not tempted to eat high calorie snacks to keep you satisfied until lunch time. 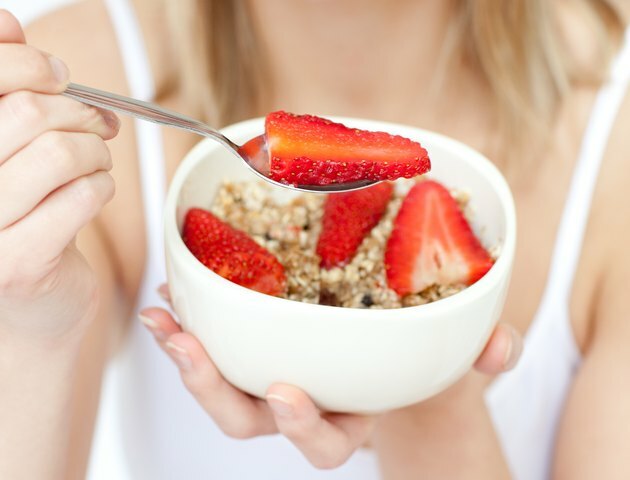 In fact, according to a 2005 article published in "The American Journal of Clinical Nutrition," women who skip breakfast tend to weigh more than their breakfast-eating counterparts. Filling up on a big breakfast might just keep the doctor away. 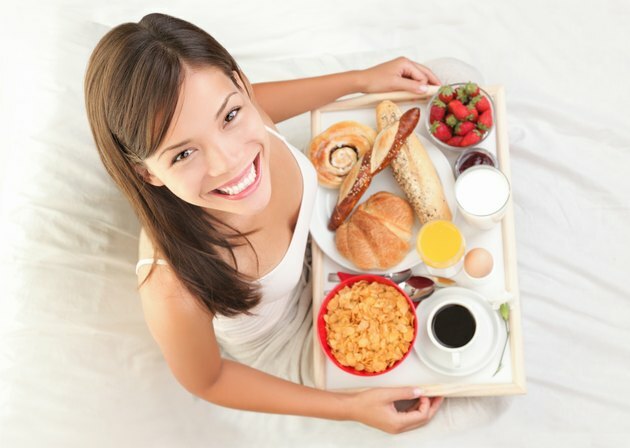 According to a 2011 article published in "Nutrition Research and Practice," people who eat breakfast on a regular basis tend to eat a healthier diet overall. 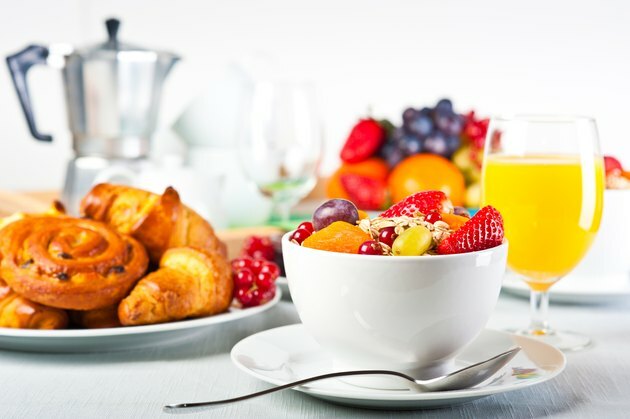 That means eating breakfast encourages people to also eat healthy foods, such as fruits, vegetables, lean meat and whole grains, throughout the rest of the day. People who skip breakfast tend to take in fewer essential nutrients, such as fiber, calcium and potassium, the same article notes. Nutritional deficiencies can increase the risk of certain health problems, such as osteoporosis in the case of low calcium intake. The fact that eating a big breakfast can have positive effects on your health doesn't give you license to abandon healthy eating principles and eat whatever you want. If you eat a big breakfast that consists of bacon, sausage, fried eggs and fried potatoes, you'll probably feel full for several hours, but you'll also consume too much saturated fat and sodium for the meal to be considered healthy. The same goes for a big breakfast that includes donuts or other pastries. 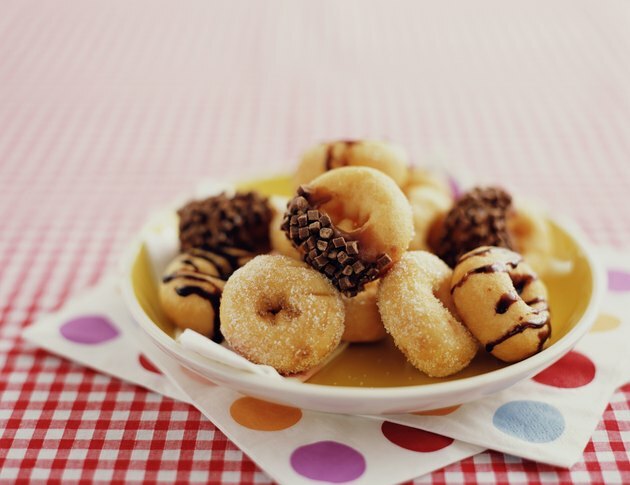 While these can satisfy your sweet tooth, they are also loaded with sugar, which isn't a healthy way to start the day. Build a big breakfast around nutrient-dense foods to get the most benefit from eating a morning meal. 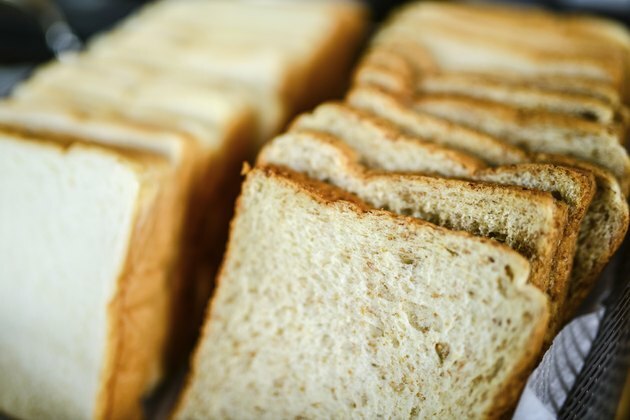 The American Heart Association recommends eating whole grains, such as whole-wheat toast or a whole grain bagel, in place of white bread or white bagels. Add fresh fruit and a glass of fruit juice to increase the nutritional value of your morning meal even more. Whole grain cereal, low-fat yogurt, scrambled egg whites and lean meat, such as white-meat chicken, are each part of a well-balanced and nutritious breakfast, as well.